The ‘Internet of Things,’ (IoT) is all around us, every day and everywhere. The boardroom, courtroom, classroom, and coffee shop; wherever you go, people are sporting a smart watch they use as a phone, tracking their activity level with a bracelet, or even using a prescription bottle cap that reminds them when it’s time to their medication. The uses across industries and sectors are endless and increasing. Local governments are taking notice and beginning to explore how they might benefit. Sensing, communicating, computing, controlling and informing are essentially what makes an IoT an IoT. The ability to have devices connect to networks and generate data is the difference between ordinary, run-of-the-mill devices and something with the potential to be transformative. IoT networks are made up of multiple complex systems working together, and in these networks, different system components are often designed and managed by different entities. Any new technology brings a new set of challenges that government leaders must be aware of as they consider how best to deploy such systems. They must consider what is technically possible, may not be feasible or socially or politically desirable. The potential benefits of IoTs need to be matched by equally persuasive cautions about citizen privacy and greater vulnerability to malicious cyber-attacks, among others. Government’s efforts to innovate with technology to provide public value should be balanced with the commitment to be good stewards of the public’s data. Technology has evolved faster than the organizations trying to use them, and public policies lag farther still behind the organizational change. IoTs represent a new type of technology that is quickly outpacing the range of government structures and policies being used to manage IT investments and the data collected. All governments considering the IoT, in particular local governments who are already struggling with data stewardship responsibilities, should carefully consider the following three issues. IoT data ownership is conflated by the mix of vendors needed to deploy and support an IoT network. Several models exist to finance, maintain and support an IoT network, and IoT devices can be purchased or paid for as a service. It’s in this type of “IoT as a service model,” that data ownership can become less clear, similar to how data in cloud computing services raises concern of data ownership and appropriate access. Different components or sections of the IoT network may be operated by different partners, each with their own interests. When IoT devices, communication networks, analytical tools, and storage systems are run as a service, the ‘Terms of Service’ agreements with the IoT system vendors may claim that they have both data ownership and use. When data from multiple sources and devices are combined and aggregated, it results in new types of data being created, making it difficult to identify the original source of specific data sets. Therefore, effective data stewardship by local governments relies on the government’s ability to address data ownership from the perspectives of all the stakeholders involved. Once ownership is established and agreements struck about how to manage changes to the existing stakeholder mix, then effective stewardship practices can be put in place. All three of these components are vulnerable to attack, perhaps even more so than other IT innovations due to the fact that IoT devices typically live outside of an organization’s normal IT boundaries (both in a network firewall and physical location sense). This limits IT mangers’ ability to use existing security infrastructure to provide security and management for IoT devices. And, the security of the data is dependent on the security of the hardware and software generating it - hardware and software vulnerabilities contribute to data vulnerability. 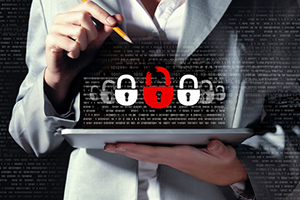 Some IoT products are simply not equipped with high-level computing capability, restricting the ability to encrypt and secure the devices and the data they generate. 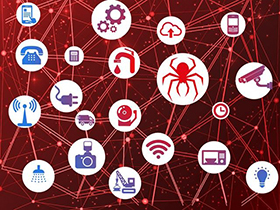 An additional challenge lies in the fact that the low powered, remotely connected devices that make up the IoT, including the software updates and configuration changes that manage the device's security, are generally harder to maintain. Once data created from an IoT is transferred to central storage locations (usually either the cloud, city data center or office systems), it can become an additional hacking target that needs to be maintained and secured. For example, in 2015 several cities discovered that quite literally anyone could access the license plate recognition cameras and therefore could also access the data; data that was already in use by the police departments in those cities. Sensors have the ability to collect many different types of data from a wide range of sources including people, environment, buildings, and machines. With the large range of capabilities of sensors, and the networking capabilities to combine the data, sensors used in public spaces need a new set of rules to meet citizen and government expectations of privacy. Things such as who governs how the information can be shared and with whom and whether or not all public IoT sensor data or just the processed data should be made public on open data portals, are all factors that must be considered. For example, traffic light cameras use several video cameras pointing into an intersection in order to capture images of cars running red lights. These videos are quickly processed by computers that are trained to track changes in the street light and placement of cars. This process generates several different types of data including pictures of people in their cars, license plate information, and if a car ran a red light. Questions that should be considered here include what portion of this data should be kept by the local traffic authority and for how long, what is the data classifications for each of the different types of data, and can some (or all) of the data be sold or published on Open Data Portals? As local governments begin to consider deploying cyber-physical systems whether in the form of new sensor networks on light poles and cameras on parking spaces or others, they must invest in new understanding of the accompanying policy and management infrastructure required to ensure that they continue to meet their obligations as stewards of the public’s data. Put simply, local governments need to think holistically and in terms of capability when considering the IoT. Do I, as a local government official, understand my responsibilities as a steward of the public’s data? Do I, as a local government official know the capabilities of my team with respect to data stewardship? Am I, as a local government official, fully aware of the implications of the purchase and use of IoT-based applications in terms of my role as a public data steward? Is the the policy, management and technology infrastructure in my local government robust enough to be responsive to the changing conditions under which data is collected, effectively manage that data, secure access to it and permit appropriate access and use Does my local government have an action plan for ensuring that data is secure and where appropriate, privacy protected, while also ensuring the level of access and use that policy allows? Does my local government have the resources to fill any related capability gaps?